Applications are invited for a PhD position in condensed matter physics to join The University of Queensland, Australia. Applications are welcome before December 27, 2018. Physics is one of the University of Queensland's top 30 research strengths, and the School of Mathematics and Physics is proud to support a major research effort in condensed matter physics. In the recent Excellence in Research for Australia 2015 assessment, the University of Queensland was rated "well-above international standard" in 02 Physical Sciences, as well as in the sub-categories 0204 Condensed Matter Physics and 0206 Quantum Physics. performing service teaching for students of engineering and the life sciences. There is also an extensive postgraduate research program, which currently has more than one hundred Research Higher Degree students enrolled. A PhD opportunity is available for a student with a relevant Honours/Masters degree to join the Bowen Research Group at The University of Queensland. The successful candidate will be enrolled in a higher degree (PhD) by research at the University of Queensland and contribute to a research project in the field of laser observation and control of superfluid physics. Domestic and international applicants are welcome to apply. A PhD project is available in the field of precision and quantum sensing. Background: Optical devices provide unprecedented sensitivity in measurements of motion and of properties that couple to motion, such as as forces, magnetic fields, spin, and temperature. Most notably, the sub-atomic-mucleus-precision of kilometre-scale optical sensors has recently allowed the observation of gravitational waves emitted by black holes and neutron stars in distance galaxies. Gravitational wave detectors push measurement to its extremes, even into regimes where quantum mechanics plays a crucial role. An area of focus in our laboratory is to take the techniques and technologies developed for these detectors, miniaturise them to micro- and nano-scale on a silicon chip, and apply them to advance optical sensors focused on practical applications, such as magnetic resonance imaging (MRI), trace-gas sensing, and accelerometry. Projects are available both to develop the fundamentals of the sensing technologies themselves and to apply them into applications relevant to our industry partners, who include Boeing and Orica. Experience/interest in laser-based measurements, micro-/nanofabrication, cavity optomechanics and/or technology translation would be an advantage. Successful applicants will receive a tax-free stipend to cover living expenses up to $27,082 and will also be eligible to apply for funds through the School to support conference and research travel up to $4000. To apply for EOI contact Professor Warwick Bowen w.bowen@uq.edu.au in the first instance. You may then be asked to provide the following documentation: Cover letter, Complete Tertiary Academic Records (with grades/GPA scores, and official grading scale details), and detailed Academic Resume/CV. 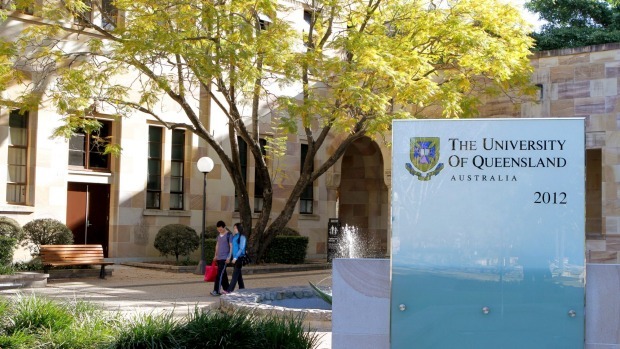 Please note the different EOI closing dates below for international and domestic candidates leading up to the UQ Graduate School research higher degree application and scholarship round timelines as advertised on their website: https://graduate-school.uq.edu.au/scholarships. DO NOT submit an application using the Apply button below.